Thank you for joining us on the Virtual Book Tour for Last Breath, a Suspense Thriller by Karin Slaughter (16 May 2017, HarperCollins, 197 pages). This is the prequel to the stand alone novel The Good Daughter. PREVIEW: Check out the book's synopsis and the Kindle Cloud Reader Preview below. Don't miss our review later today! 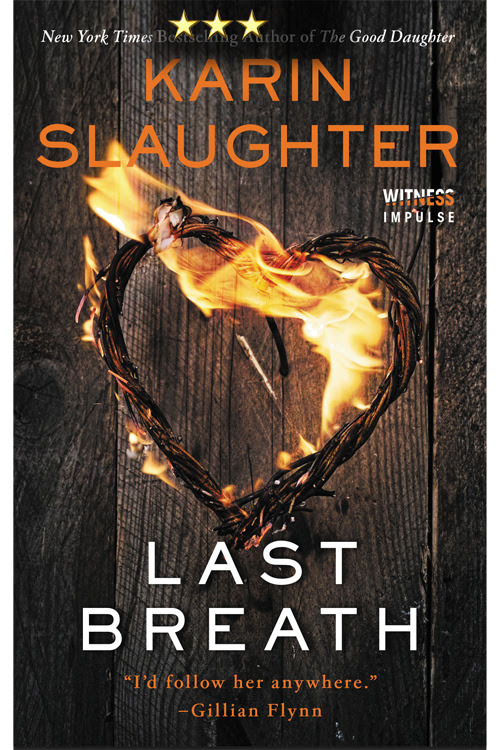 Author Karin Slaughter will be awarding a digital copy of Last Breath to three randomly drawn winners via Rafflecopter during the tour. Please do take part: comment on our post and follow the tour where you will be able to read other excerpts (☀), and reviews (✍). 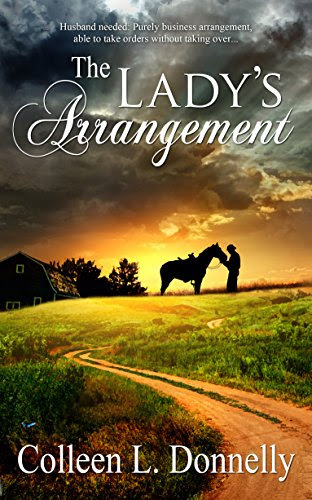 Thank you for joining us on the Virtual Book Tour for The Lady's Arrangement, an Historical Fiction by Colleen L. Donnelly (31 May 2017, The Wild Rose Press, Inc, 368 pages). This is the first book in the Help Wanted series. PREVIEW: Check out the book's synopsis, our Exclusive Excerpt and the Kindle Cloud Reader Preview below. Author Colleen L. Donnelly will be awarding a $10 Amazon/BN gift card to a randomly drawn winner via Rafflecopter during the tour. Please do take part: comment on our post and follow the tour where you will be able to read other exclusive excerpts (☀). Neither Rex nor Regina wants a spouse, but they do have needs. 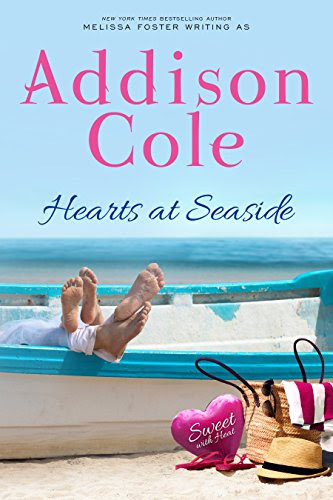 Thank you for joining us on the Virtual Book Tour for Hearts at Seaside, a Contemporary Sweet Romance by Addison Cole (19 July 2017, World Literary Press, 280 pages). 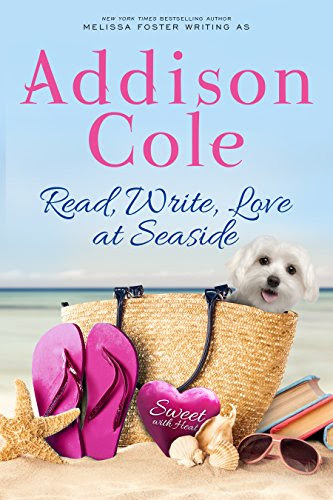 This is the third book in the Sweet with Heat: Seaside Summers series. Author Addison Cole will be awarding a $10 Amazon/BN gift card to a randomly drawn winner via Rafflecopter during the tour. Please do take part: comment on our post and follow the tour where you will be able to read other excerpts (☀), reviews (✍). 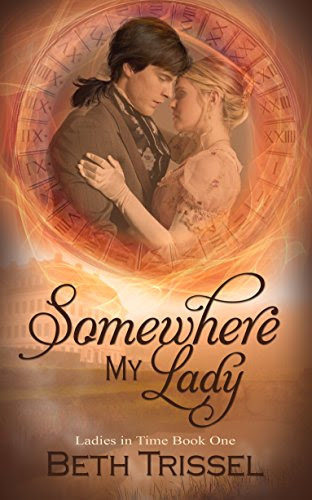 Thank you for joining us on the Virtual Book Tour for Somewhere My Lady, a Paranormal romance/time travel novel by Beth Trissel (12 July 2017, The Wild Rose Press, Inc, 162 pages). This is the first book in the Ladies in Time series. Author Beth Trissel will be awarding a $25 Amazon/BN gift card to a randomly drawn winner via Rafflecopter during the tour. Please do take part: comment on our post and follow the tour where you will be able to read other excerpts (☀). 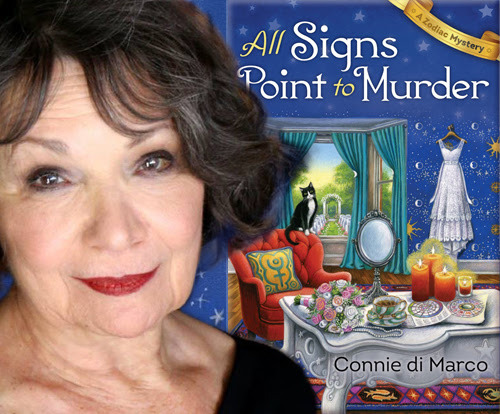 Thank you for joining us on the Virtual Book Tour for All Signs Point to Murder, a Mystery by Connie di Marco (8 August 2017, Midnight Ink, 336 pages). This is the second book in the Zodiac Mysteries series. Don't miss our interview with author Connie di Marco. 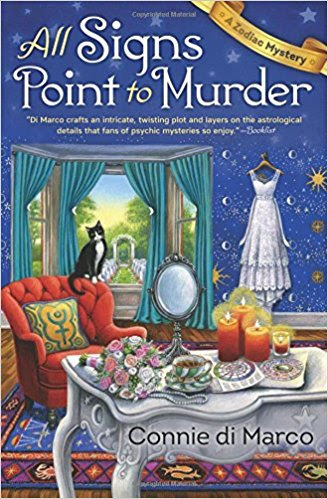 Author Connie di Marco will be awarding a $20 Amazon/BN gift card to a randomly drawn winner via Rafflecopter during the Goddess Fish Promotions tour, and one $20 Amazon GC and two ebook copies of All Signs Point to Murder during the Partners in Crime tour. Today we have the pleasure of meeting up with author Edward Ashton to talk about The End of Ordinary (20 June 2017, Harper Voyager Impulse, 298 pages), a Science Fiction Novel. Energetic and bitingly satirical, The End of Ordinary is a riveting near-future thriller that asks an important question: if we can’t get along when our differences are barely skin deep, what happens when they run all the way down to the bone? 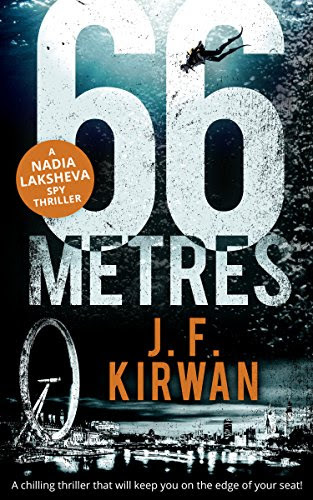 Thank you for joining us on the Virtual Book Tour for 66 Metres, a Spy Thriller by J.F. Kirwan (25 August 2016, Carina, 232 pages). Author J.F. Kirwan will be awarding a $10 Amazon gift card to four randomly drawn winners via Rafflecopter during the tour. Please do take part: comment on our post and follow the tour where you will be able to read other excerpts (☀), and reviews (✍). 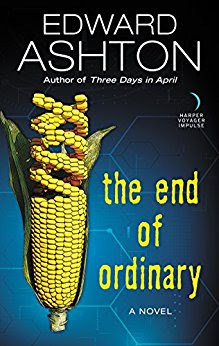 Thank you for joining us on the Virtual Book Tour for The End of Ordinary, a Science Fiction Novel by Edward Ashton (20 June 2017, Harper Voyager Impulse, 298 pages). 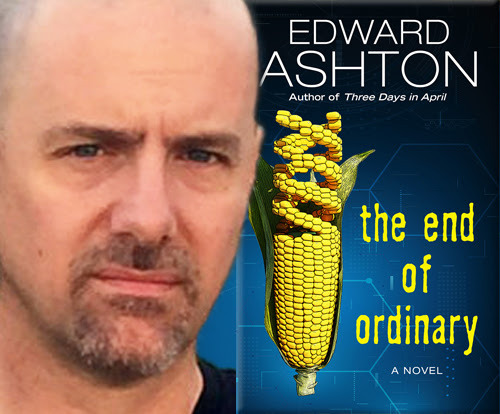 Don't miss our interview with author Edward Ashton. Author Edward Ashton will be awarding a 14 Ounce Nalgene—filled with candy corn! & 1 VeryFit Smart Band (US only) to a randomly drawn winner via Rafflecopter during the tour. Please do take part: comment on our post and follow the tour where you will be able to read other excerpts (☀), interviews (ℚ), reviews (✍) and guest blog posts (✉). 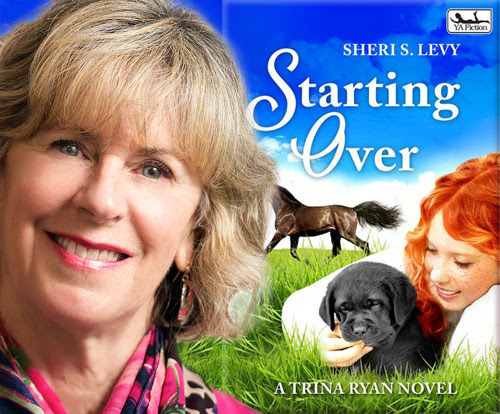 Today we have the pleasure of meeting up with author Sheri S. Levy to talk about Starting Over (1 August 2017, Barking Rain Press, 206 pages), a Contemporary Young Adult Novel, book two in the Trina Ryan’s Dogs in Training series. Thank you for joining us on the Virtual Book Tour for Starting Over, a Contemporary Young Adult Novel by Sheri S. Levy (1 August 2017, Barking Rain Press, 206 pages). 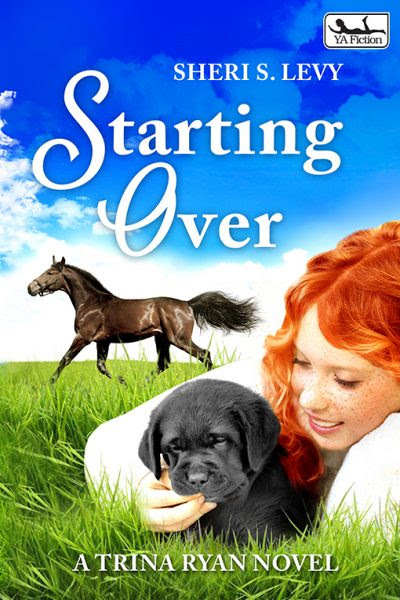 This is the second book in the Trina Ryan’s Dogs in Training series. Don't miss our latest interview with author Sheri S. Levy. PREVIEW: Check out the book's synopsis and the Preview below. Author Sheri S. Levy will be awarding a $15 Amazon/BN gift card to a randomly drawn winner via Rafflecopter during the tour. Please do take part: comment on our post and follow the tour where you will be able to read other excerpts (☀), interviews (ℚ), and guest blog posts (✉). 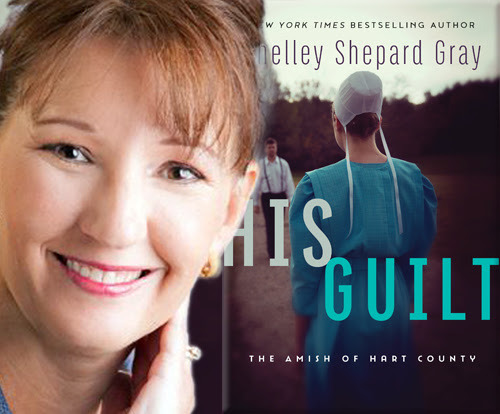 Today we have the pleasure of meeting up with author Shelley Shepard Gray to talk about His Guilt (4 July 2017, Avon Inspire, 304 pages), an Inspirational Amish Romantic Suspense, book two in The Amish of Hart County series. 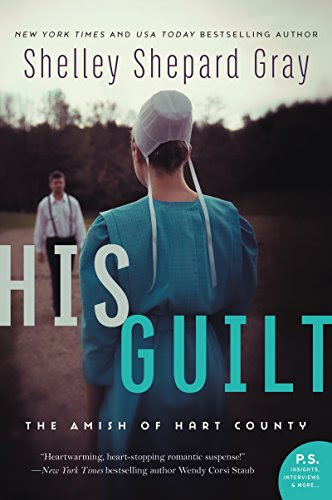 Thank you for joining us on the Virtual Book Tour for His Guilt, an Inspirational Amish Romantic Suspense by Shelley Shepard Gray (4 July 2017, Avon Inspire, 304 pages). 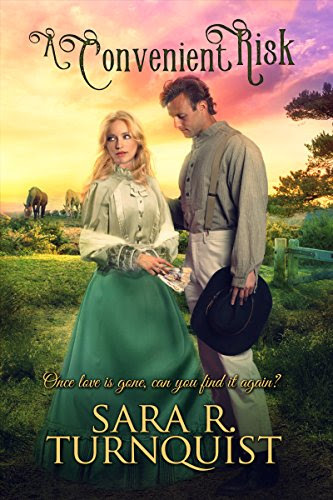 This is the second book in The Amish of Hart County series. Don't miss our interview with author Shelley Shepard Gray. Author Shelley Shepard Gray will be awarding a print edition of His Guilt by Shelley Shepard Gray to a randomly drawn winner via Rafflecopter during the tour. Please do take part: comment on our post and follow the tour where you will be able to read other excerpts (☀), interviews (ℚ), reviews (✍) and guest blog posts (✉). Today we have the pleasure of meeting up with authors Ginger Black, i.e. 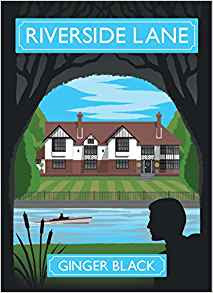 Gaynor Pengelly and Julia Thum, to talk about Riverside Lane (25 January 2016, Endeavour Press, 260 pages), a Cosy Mystery. 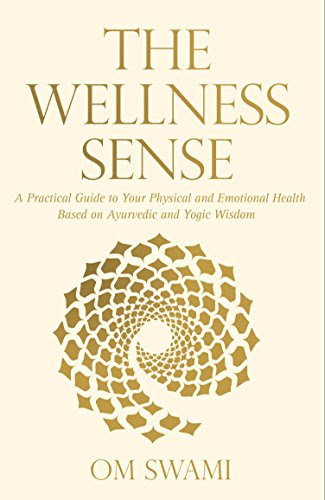 Thank you for joining us on the Virtual Book Tour for The Wellness Sense, a Health & Fitness by Om Swami (first published 3 December 2014; this edition 4 August 2015, Black Lotus, 238 pages). PREVIEW: Check out the book's synopsis and the Kindle Cloud Reader Preview below. The Wellness Sense is FREE on Kindle Unlimited and Kindle Owner's Lending Library. Enter our draw for a chance to win a $25 Amazon/BN gift card via Rafflecopter during the tour. Please do take part: comment on our post and follow the tour where you will be able to read other excerpts (☀). 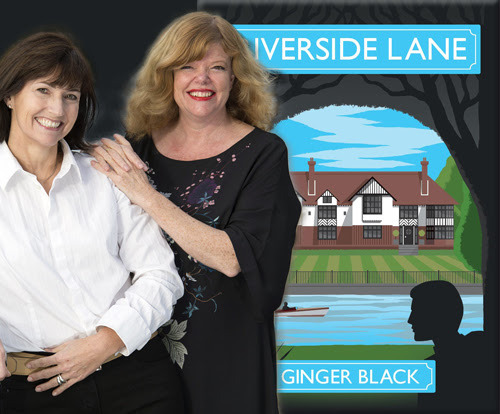 Thank you for joining us on the Virtual Book Tour for Riverside Lane, a Cosy Mystery by Ginger Black (25 January 2016, Endeavour Press, 260 pages). Don't miss our interview with authors Ginger Black. PREVIEW: Check out the book's synopsis and the Kindle Cloud Reader Preview below. Riverside Lane is FREE on Kindle Unlimited and Kindle Owner's Lending Library. Authors Ginger Black will be awarding a $10 Amazon/BN gift card to a randomly drawn winner via Rafflecopter during the tour. Please do take part: comment on our post and follow the tour where you will be able to read other excerpts (☀), interviews (ℚ), reviews (✍) and guest blog posts (✉). 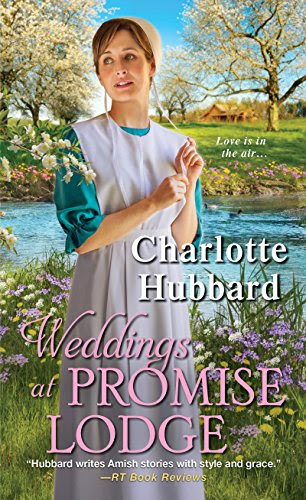 Thank you for joining us on the Virtual Book Tour for Weddings at Promise Lodge, a Amish Inspirational Romance by Promise Lodge (27 June 2017, Zebra, 368 pages). This is the third book in the Promise Lodge series. Author Promise Lodge will be awarding a $15 Amazon/BN gift card to a randomly drawn winner via Rafflecopter during the tour. Please do take part: comment on our post and follow the tour where you will be able to read other excerpts (☀) and reviews (✍). 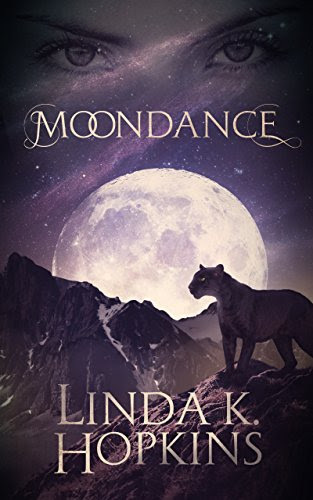 Thank you for joining us on the Virtual Book Tour for Moondance, a Paranormal Romance by Linda K. Hopkins (29 April 2017, Linda K. Hopkins, 355 pages). Moondance is only 0.99 during the tour, or you can grab a FREE copy (pdf, kindle or epub ) from Smashwords until 31 July 2017!!! Author Linda K. Hopkins will be awarding a $20 Amazon/BN gift card to a randomly drawn winner via Rafflecopter during the tour. Please do take part: comment on our post and follow the tour where you will be able to read other excerpts (☀), and reviews (✍). Thank you for joining us on the Virtual Book Tour for A Convenient Risk, a Historical Romance by Sara R. Turnquist (16 May 2017, Sara R. Turnquist, 259 pages). Don't miss our promotional interview with author Sara R. Turnquist. Author Sara R. Turnquist will be awarding a $50 Amazon/BN gift card to a randomly drawn winner via Rafflecopter during the tour. Please do take part: comment on our post and follow the tour where you will be able to read other excerpts (☀), interviews (ℚ), reviews (✍) and guest blog posts (✉). 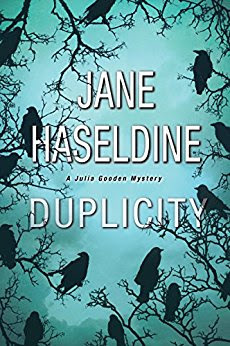 Today we have the pleasure of meeting up with author Jane Haseldine to talk about Duplicity (28 March 2017, Kensington Publishing, 352 pages), a Mystery, book two in the Julia Gooden Mysteries series. 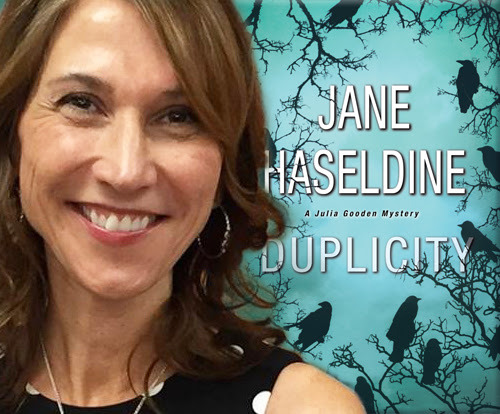 Thank you for joining us on the Virtual Book Tour for Duplicity, a Mystery by Jane Haseldine (28 March 2017, Kensington Publishing, 352 pages). This is the second book in the Julia Gooden Mysteries series. Don't miss our interview with author Jane Haseldine. Author Jane Haseldine will be awarding a $20 Amazon gift card to two randomly drawn winners via Rafflecopter during the tour. Please do take part: comment on our post and follow the tour where you will be able to read other excerpts (☀), interviews (ℚ), reviews (✍) and guest blog posts (✉). 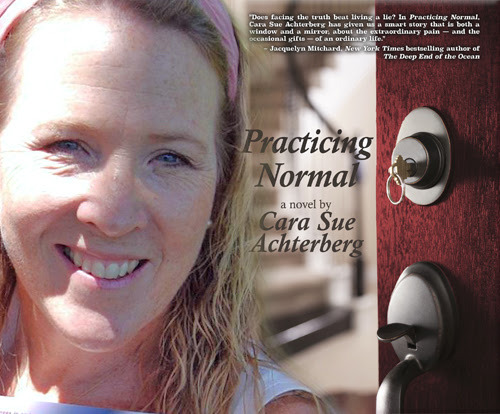 Today we have the pleasure of meeting up with author Cara Sue Achterberg to talk about Practicing Normal (31 May 2017, Fiction Studio Books, 336 pages), a Women's Fiction Novel. 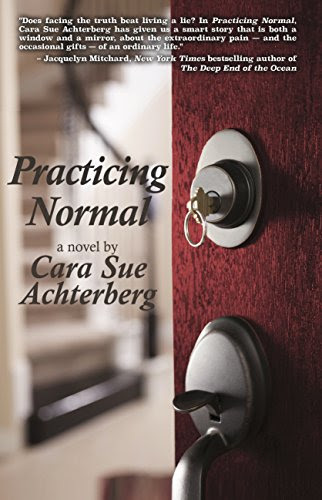 Thank you for joining us on the Virtual Book Tour for Practicing Normal, a Women's Fiction Novel by Cara Sue Achterberg (31 May 2017, Fiction Studio Books, 336 pages). 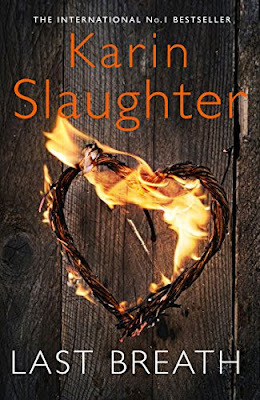 Don't miss our interview with author Cara Sue Achterberg. Practicing Normal is FREE on Kindle Unlimited and Kindle Owner's Lending Library. Author Cara Sue Achterberg will be awarding a $25 Amazon gift card to one winner, and an ebook copy of Girls' Weekend to five randomly drawn winners via Rafflecopter during the tour.